This blog post is suitable for those who could not be present at the congress, but also for those who would like to freshen up and repeat the content. And now have fun reading the short summaries on the talk. Prof. Dr. Lorimer Moseley (Australia) explained in his introductory lecture the basics of pain biology. How the nociceptive system detects, transmits and modulates dangerous stimulus in the tissue of the body. The brain is a neuroimmune network which collaborates and competes for influence. Every single cell is useless, until it establishes a cellular network. This network called a NEUROTAG. Information about our whole life is stored in various neurotags. Every small or big movement or function is stored in a neurotag. Important and influential on these neurotags is nociception. How important and influential is nociception/pain on neurotags? Pain is a huge stimulus to nociception. But it is not the nociception alone that affects the pain and creates a neurotag. Other stimuli, such as olfactory, auditory, taste, visual and somatosensory stimuli or a combination of them can also affect pain and create a neurotag. Not one single information/stimulus is enough to activate nociceptors but it does make them sensitive to everything else. That means that an existing neurotag can be modulated by many factors. In case of pain: Anything that is relevant to protection has the potential and the capacity to influence pain and to modulate a neurotag. By creating new neurotags you can dampen down existing neurotags and produce new neurotags. Nociception is not the only key- nociception is neither sufficient nor necessary for pain. Other key points that are also important for the treatment of pain are to find out the factors that are responsible and sustain the pain. 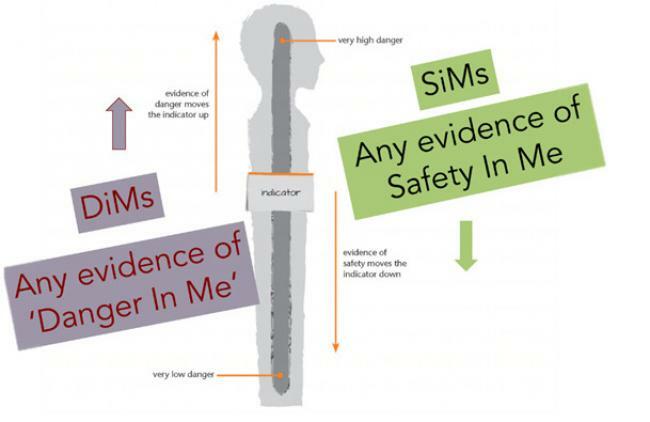 To find out these things Moseley has developed the concept of DIMs (DIMs- danger in me) and SIMs (SIMs- safety in me). By listing aspects that can give the patient a sense of security and threats that worsen the pain can be dispelled. For example, DIMs can be all negative associated things you think and believe (like: pain is forever), things you say (“It’s just old age”), things you do (take pills, or staying at home do nothing), places you go (hospital) and many more. That means for your treatment that you together with your patient have to work out a plan about his/ her DIMs and SIMs. And the best thing that could happen is that you can convert a DIM into a SIM. And a SIM for example can be that you do gentle exercise or that you understand what’s happening and handle it. Because a SIM is capable of enhance the growth new neurons. This lecture focused on the protective utility of pain and multiple factors that can adjust the protective setting. According to how the brain is influenced at any one moment, the brain can perform descending-inhibitory control of the spinal cord if it deems the information it is receiving from the spinal cord does not require the need to protect. In reverse even if the same information is coming up the spinal cord, and the brain deems it a danger then the brain will do descending-activation control. Especially the dorsal horn is dedicated to pain processing, forming neurotags, including nociception neurotags in the same way the brain has. Pain intensity can be measured by the perceived need and benefit for a protective behavior and not by the stimulus in the nociceptors. For example: In a life-threatening or catastrophic situation, you are usually pain free because there is a greater overall need to protect yourself. Another interesting thing to know is that inflammation affects the capacity to protect, so increases the synaptic efficacy (in case of emergency you need more precise information to know how far the danger is and how to stay away from it or to turn away). On day 2 Prof. Dr. Lorimer Moseley had more lecture units. Which I put all together in one big paragraph. Moseley started on day 2 talking about pain, movement and the cortical body matrix. A person was seated with their left arm resting upon a small table. A standing screen was positioned beside the arm to hide it from the subject’s view and a life-sized rubber model of a left hand and arm was placed on the table directly in front of the subject. The subject sat with eyes fixed on the artificial hand while using two small paintbrushes to stroke the rubber hand and the subject’s hidden hand, synchronizing the timing of the brushing as closely as possible. The person experienced an illusion in which they seemed to feel the touch not of the hidden brush but that of the viewed brush, as if the rubber hand had sensed the touch. The explanation for this is that perception and tactile acuity are fundamentally linked: The patient can’t do a pelvic tilt because the brain doesn’t have a perception map of the injured area. This is called ‘two point discrimination’. There is spatial deficit in patients with CRPS I. Experiment 1: participants performed a circle drawing task that primarily tested motor accuracy. Experiment 2: participants performed a button pressing task that tested motor co-ordination. In both experiments the motor tasks were performed with either hand (affected or healthy), and on either side of the body midline (affected side of space or healthy side of space). Experiment 1: motor accuracy was poorer when participants used their affected hand and when the task was performed on the affected side of their body midline. Experiment 2: motor coordination for the button pressing task was poorer when participants used their affected hand and when the task was performed on the affected side of the midline. In conclusion it can be said that unilateral CRPS I is associated with a spatially-defined disruption of motor performance. Participants perform worse when the task is performed on the affected side of the body midline, regardless of whether they use their affected or healthy hand. Look also for the reference study from Reid et al. 2017. As second speaker on day one Associate Professor Dr. Miriam Kunz (Germany) told us something about facial activity patterns of pain. How to assess them and implement this in daily practice. Prof. Dr. Kunz was very expressive in presenting her research on Facial Action Encoding. This concept was first introduced by Ekman and Friesen in 1978. They established which groups of facial muscles called “action units” were involved in our six basic emotions and analyzed systematically the six basic emotions. For example, muscles around the eyes cause the eyes to close when a person is in pain. This is possibly related to a protective response. The mouth will often open when a person is in pain and this may be a preparatory response to express the need for help. Interestingly, a person’s subjective rating of pain does not correlate with a person’s amount of facial expression, meaning if two different people each rate their pain on a 6/10, their facial expression response may be very different. However, intra-person (within the same person) has a better correlation between the subjective report of pain and the facial expression response. 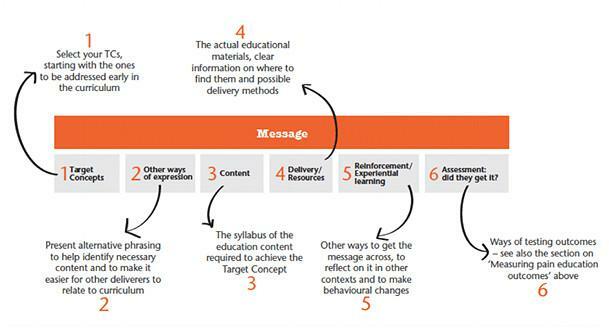 This may be attributed to two types of learning, Observational Learning and Operant Learning. It would seem that the latter is of more importance. Operant learning refers to how a person displays the feeling of pain depending on how other people around them react based on social display rules. For example, does a person in pain receive more positive reinforcement such as a hug for a certain pain behavior versus no reaction by surrounding people. If a person receives a more positive response, then the facial expression of pain will be stronger. Dr. Kunz also discussed the motor response to pain and that some of her research indicates that inhibition of the motor response to produce pain facial expressions occurs in the prefrontal cortex. 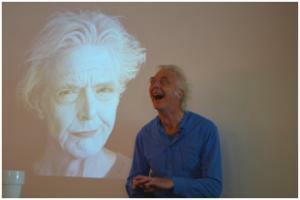 Further Dr. Kunz also discussed both sensory and affective dimensions of facial action encoding. Pain sensation is part of protection encoding which is shown more in the eye movements whereas affective pain is encoding unpleasantness and these facial movements occur more in the nose area. Other than facial action encoding, Dr. Kunz’s other main research interest is pain expression in those with dementia. As dementia becomes more severe, a person’s ability to self-report decreases which means we have to rely on other means of measuring pain such as brain activation, pain reflexes and facial expression. Research has shown persons with dementia display increased pain facial expression response; however, it has not been proven that this indicates these patients are feeling more pain as it is possible this is linked more to a protective response. In summary, the main groups of muscles in facial expression are consistent through populations; however, the combinations of the muscle groups solicited vary. Dr. Kunz also noted the importance of pain observation pain scales for validity, particularly the PAIC-15 scale. Overall, a very interesting topic which was very favorably received by all conference participants. The next speaker of the day was Sjoerd Schwibettus (Netherlands). He shows a very interesting approach about how body or/ and face expressions of pain can be expressed in (body)movements in an artistic way. Mr. Schwibettus is a professional mime artist with a research interest in the area of expressions and emotions. He believes pain can also be displayed through body language. As he says, “put a frame around it and you have art” (see picture 1). Sarah provided the Cello accompaniment to a movement performance by Mr. Schwibettus using two frames to make us think and see from different perspectives. Once we have learned how a person walks, we can recognize them again even if we see them from far away because of each person’s individual body movement which is transformed into language. How does pain change this? Mr. Schwibettus’ shared how his 39 year old son is autistic and is unable to display emotion through his face and is not capable of verbal communication but he does display what his is feeling through his body language. Mr. Schwibettus has used these body language techniques in a theatre setting with handicapped actors and he found that their facial expression improved as they became more expressive in their body language. Mr. Schwibettus also referred to Ekman’s work on the six basic emotions of happy, angry, fear, disgust, sadness and surprise which are universally recognizable. There are 21 ways or action units to express these basic emotions. Mr. Schwibettus wishes to bring art and science together. His study pilot with Dr. von Piekartz was done with low back pain patients who had lost their capacity to express emotions in their face; however, when shown three actors painted in yellow, green and pink, these patients were able to mimic the body movements of the actors and their facial expressions of basic emotions began to return. Just as the sketches and pictures of the basic emotions have been captured for the face, they have tried to show the basic emotions through stick figures to represent body posturing. A short, live demonstration was given by the three actors also accompanied by Sarah and her Cello. The taking home massage of Mr. Schwibettus performance was: Body language is very important to create and understand an emotion (even when the face is not visible). Everyone was very pleased with this artistic performance. Prof. Dr. Harry von Piekartz started talking about the difference in the motor systems between the face and the periphery. Very interesting that we have in the face a great deal of connective tissue which is built up in a web structure, and that in the face the motor endplates are not parallel as in the periphery. In the face we have 90% type II (slow twitch fibres) and many mechanoreceptors in the skin. The best way you activate these types of fibres in a muscle is with big skin stretches. For example, if you touch any part of the face, you can get some distal movements, so with a pullback of cheek you can activate the lip/ oral region. With this technique you can access the facial proprioceptive system and increase motor activity. Further, Prof. Dr. Harry von Piekartz reported that our facial expressions are so unique due to the innervation by multiple nerves. Further, the expressions are formed by several muscles. Different parts of the brainstem innervated different motor neurons/areas in the face. As a result, there are overlaps in the periphery, like the connections between the facial and trigeminal nerves. In this context it is also possible that chronic face pain patients are not able to recognize an emotion because of a restricted left-/ right judgement. This change in the cortical representation of the facial region called “Smudging”. One goal of the therapy is a better reorganization of the cortical representation areas. For your treatment, therefore it is important to ask the patient about their facial symmetry, left-/ right discrimination and emotion recognition. 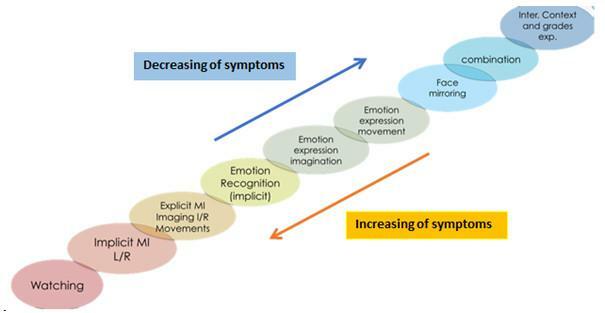 In chronic facial pain patients motor response does not always match with the emotional output (i.e. happiness looks like surprise in the face). The reason for this is described in the facial feedback hypothesis, which states that facial muscle movements affect one's own emotional experience. Another option for facial rehabilitation is based on the Graded Motor Imagery concept also mentioned by Prof. Dr. Lorimer Mosely in his lecture series. The classic structure of this rehabilitation option is described in the figure below. And in the end think of: Every pain experience is unique, everyone’s experience (stored data) is different, so no treatment is like the other. And now we are slowly coming to the end of the lectures given during this congress. In the last lecture Prof. Dr. Susan Armijo- Olivo (Canada) talked about the effectiveness of exercise therapy in orofacial musculoskeletal pain and gave an overview and applications for the clinical setting. In short Prof. Dr. Susan Armijo-Olivo is originally from Chile. Her personal passion is acting so being a professor and a presenter allows her to perform. She is a physiotherapist who believes exercise therapy is one of the most effective therapies for temporomandibular disorders (TMD). What is the effect of exercise and how can we transfer this to a patient’s brain, not only to the orofacial and neck region but also to the whole body. The two focus areas in Prof. Dr. Susan Armijo- Olivos studies are myogenous TMD and mixed TMD. The biggest goal of exercise therapy of the main objective is to decrease musculoskeletal pain. There are many systematic reviews on this topic, but what we have already learned from this is that the information is limited. In the clinic we need to combine our clinical judgement with the previous evidence. Despite Prof. Dr. Susan Armijo- Olivo’s being a researcher, she feels our clinical experience is valid even if a randomized control trial hasn’t also been done. Evidence based practice is valid and we can use the results of the research to understand the concepts. So, research is always based on the clinician’s experience. Before Prof. Dr. Susan Armijo- Olivo started to interpret the following studies, she explains how important the minimal clinically important differences (MCID) are. In case of the outcome parameter pain for the MCID reports has been shown to range from 1.5 to 3.2 points. The p- value is not that important but the MCID will help us know what is the value of the treatment for the patient. Now everyone in the room knows what Prof. Dr. Susan Armijo- Olivo is talking about and she could begin. --> Remarks of the RCTs: evidence is uncertain and poor; in clinic use active and passive techniques in the neck/ TMJ to decrease pain. In the end Prof. Dr. Susan Armijo- Olivo presented one the studies she did with her research team. She considered that the use of exercise therapy only has a lasting effect, if the exercises can be objectified on the cortical level. On this basis she and her team performed a study in which subjects with TMD received a motor control training with visual feedback and the control group received a TENS treatment. After the eight-week intervention, a significant reduction in pain, improved postural control (measured by cranial cervical flexion test, CCFT), and maximal strength were demonstrated within the intervention group, using MRI, changes in cortical structures. The result of this study could indicate a paradigm shift: A key component in the treatment of TMD should include, in particular, a motor control exercise program that induces changes at the cortical level, as this has the greatest potential for rehabilitation success. With these powerful last words from Prof. Dr. Susan Armijo- Olivo on this day, the 5th CRAFTA® Congress came to an end. We hope you enjoyed reading the short summaries from the speakers. 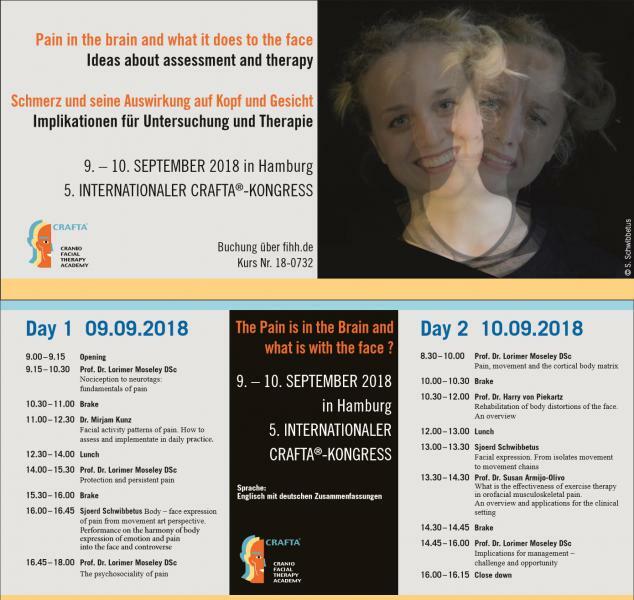 In conclusion, it remains to be said that it was an interesting congress with great contributions on the subject “Pain is in the brain and what it does to the face – ideas about assessment and therapy”. We would be glad if you would also visit our Facebook page (https://de-de.facebook.com/crafta.org/) and the CRAFTA® website (https://www.crafta.org). There you will find photos for the two days.